Until the winter of 2000/2001, the mooring project was simply a small group of concerned divers (mostly NDA members) putting their own money into it. Things were happening, but very, very slowly. Fundraising (other than a few personal and a $600.00 NDA club donation) was almost nonexistent, as there was no official group or organization to receive funds or produce financial records. At the February 2001 meeting of the Niagara Divers Association, it was decided that the Club would officially adopt the “Lake Erie Mooring Project” as an official Club function and $500.00 was donated. Another $2000.00 was donated during the 2002 season. 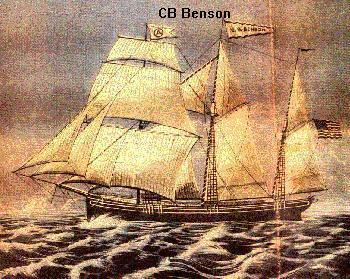 Also in 2002, Save Ontario Shipwrecks (SOS) donated two "Roland Buoy" mooring buoys, which were installed on the Port Dalhousie Schooner Wreck in Lake Ontario and on the bow of the CB Benson in Lake Erie. Five additional Buoys were donated by SOS through their Trillium Fund Grant and were installed on the Niagara, George Finnie, Carlingford, J.G. McGrath and Raleigh in the spring of 2003. The Niagara Diver's Association donated an additional $1500.00 in June 2003. 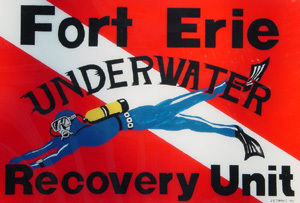 At Shipwrecks (since 2004), a 50/50 draw sponsored by the Fort Erie Underwater Recovery Unit was held with all proceeds going to the Lake Erie (Eastern Basin) Mooring Project. A total of $1175.87 was raised by this draw at our 2018 show bringing the total amount raised for the project by the Unit's draws to $15,700.34 over the last 16 shows. Our thanks to the FEURU for their contribution and effort. For Shipwrecks/2012, Les Pullen donated a 100 of his "Waome Posters". Although it took three years to sell all the posters, many people paid far more than the $5 asking price and a total of $685.00 was raised through purchases sales and donations. At Shipwrecks/2018, Penny Vermeulen made a $1500.00 donation in memory of her late husband, Empress of Ireland historian and author Ian Kinder. At Shipwrecks/2019, Penny donated an addition $1000.00 in memory for a total of $2500.00. After losing two buoys to collision with vessels in 2005, the Niagara Divers' Association donated an additional $2500.00 to the project, earmarked specifically for the purchase of solar lights and radar reflectors to be added to existing buoys. In the fall of 2008 two larger buoys with internal radar reflectors and solar lights were purchase as we had used up all our spares. At the November 5, 2009 NDA meeting, they voted to donate an additional $3000 to be put towards the purchase of five more of the new style larger buoys. NDA's donations to date total $10645.46. Additional funds are still required to complete and maintain these moorings for the use of divers and charter operators. The sole purpose of this project is the protection and conservation of area shipwrecks, while maintaining open and easy access for divers. Our intent is to eliminate the very real damage caused by anchoring boats. We welcome donations of funds, supplies or even your time to the Lake Erie Mooring Project. All funds will be strictly earmarked for the project with complete financial records kept and available. A list of donors who have donated $100.00 or more.